Internet fun fact: The term “spam” was first used in 1993 to refer not to unwanted email advertising, but to the accidental posting of 200 messages to a USENET news group. One of the readers of that group called it “spam,” for reasons that aren’t entirely clear. The name stuck, and is now used to describe unwanted commercial electronic messaging of any kind, whether by email, text, instant messaging, or some other channel. Not-so-fun internet facts: According to statistics published by Propellercrm.com, unwanted marketing email makes up 45% of all emails sent—some 14.5 billion messages per day. And even though senders get only one response for every 12.5 million messages sent, that’s still more than 1,000 responses per day, more than enough to keep them in business, especially considering that the cost of sending spam is essentially zero. The “arms race”: A great deal of effort goes into developing systematic ways to deal with such emails, such as filtering, whitelists/blacklists, and other solutions. There’s no end-all, be-all solution, because the spammers have a knack for finding ways to defeat whatever defenses developers come up with; thus, solution developers have to keep finding new ways to beat the spammers. These systems don’t work for free—we pay for them in one way or another. Lost time and productivity: Even with the best filtering, it is not possible to filter out 100% of it and let through 100% of legitimate email—any system is going to suffer false positives and false negatives. People have to spend time dealing with the unwanted email that does get through; it might only be a few seconds per day per user, but it adds up when aggregated over millions of email users. And when legitimate emails are inadvertently filtered out, the results can be missed messages, lost opportunities, and general confusion. Whitelist/blacklist maintenance: Many email systems, clients, and add-ons enable users to maintain whitelists (lists of “approved” senders whose messages always get through) and blacklists (senders whose messages are automatically deleted). Whitelists require time and effort to maintain, and can result in delays in receiving important, legitimate email. Blacklists are almost useless, because spammers can always set up new email accounts on different domains. Harm to legitimate email marketing: The attempts by governments to “do something about the problem” actually do little to stem the flow of unwanted commercial email advertising, and make it difficult for legitimate marketing organizations to do their jobs. 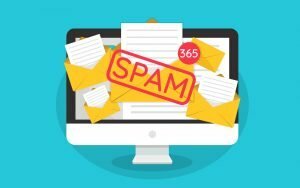 It’s all too easy to fall on the wrong side of laws such as the U.S. CAN-SPAM Act of 2003, and even marketers who do everything right have to contend with the fact that their messages might be filtered out by overzealous spam filters. General annoyance: At the very least, it ranges from super annoying to downright offensive. You start to wonder who’s actually buying the dubious pharmaceuticals and “enhancement” supplements that many spammers are hawking. And this is to say nothing of the fact that some email marketing campaigns are designed to be to be malicious, attempting to defraud people and steal their money with malware attachments or links to dangerous websites. When you add in the costs of fraud, phishing, and malware, the costs to society for dealing with unwanted email is quite high indeed. That said, things could be considerably worse. Although spam filters will never be perfect, modern filtering systems do a pretty decent job—much better than the crummy, easily defeated filters that were in use just a few years ago, and a whole lot better than having nothing at all. The cost of having nothing with which to defend yourself from the email onslaught could be orders of magnitude higher than the costs of basic filtering. That’s why we included tips on how to defend against it in our free cybersecurity checklist. Download your copy today to learn how to protect yourself and your business from a host of other security risks.